The first thing you will see is the stone house front. Enter the forecourt through a wrought iron gate onto a pathway leading to a UPVC door with stained glass inset and borrowed light window above. The entrance includes cornice feature and dado railing. There's also a single radiator with thermostat, one single power point, laminate flooring, and smoke alarm. The hallway provides access to all of the ground floor rooms. Blue coloured fitted carpets with super hero and Simpsons wallpaper, and one dark red painted wall. 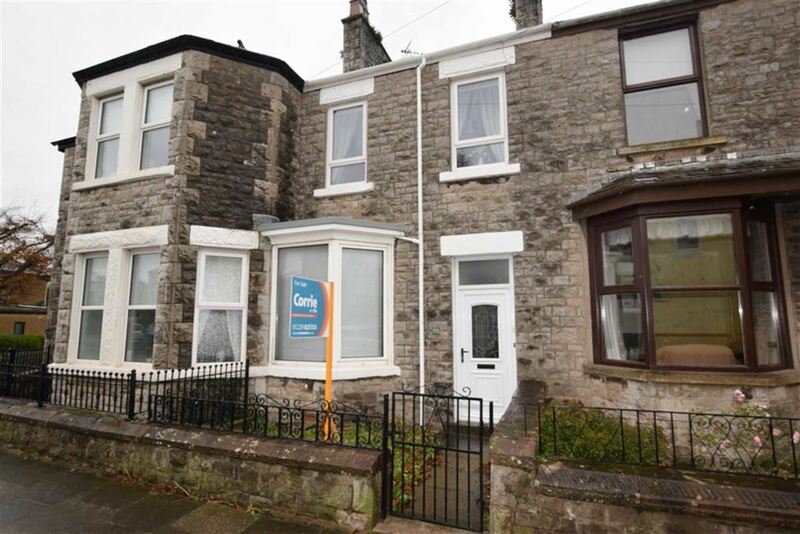 This room includes cornice, one double radiator with thermostat, two double power points, and a UPVC double glazed bay window to the front aspect. 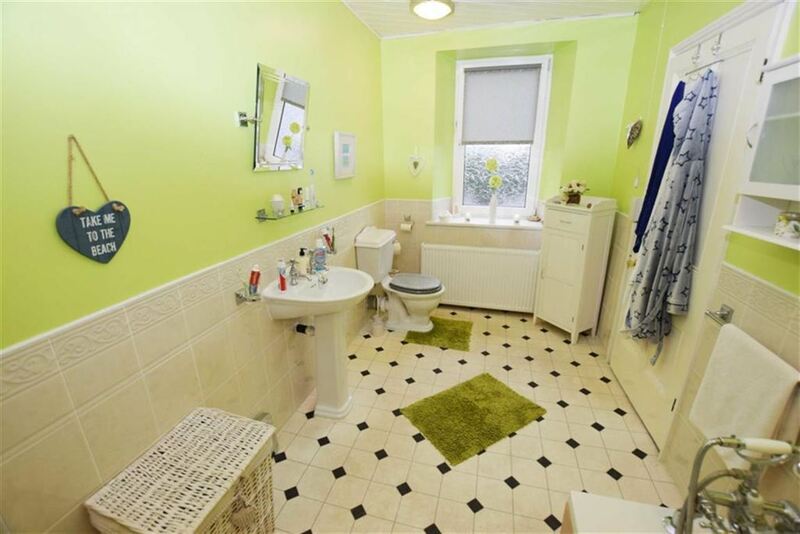 Linoleum flooring and lime green painted walls. This is a traditional, Victorian, chrome style 4 piece bathroom fitted suite in white shade. The bathroom includes a low level bath with side and end panels, shower attachment over bath, low flush WC, pedestal sink, shower cubicle, half tiling, and cladding to ceiling. 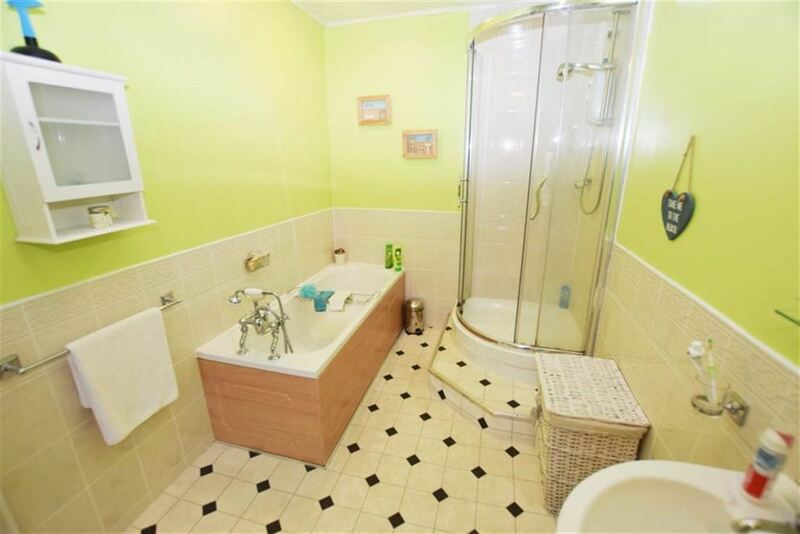 The bathroom also includes a double radiator and a UPVC double glazed window to the rear aspect. Light brown fitted carpets, white painted walls and dark red painted on the chimney breast. 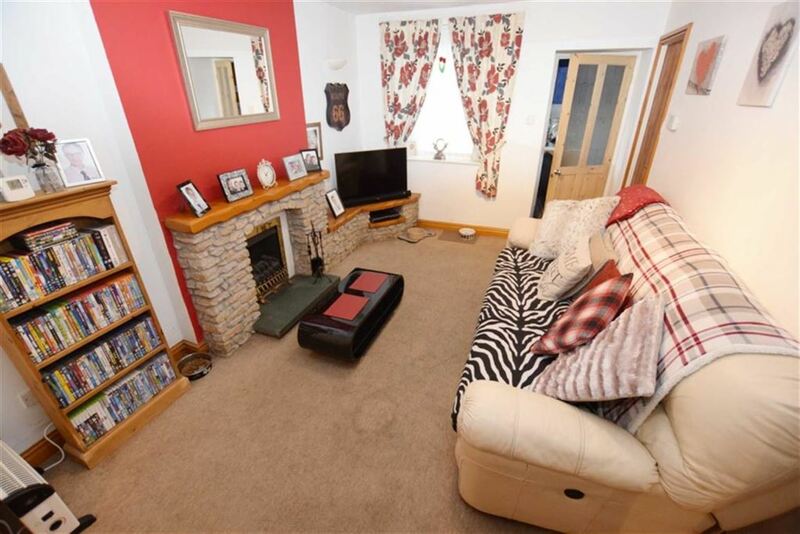 The central feature of this room has to be the feature fireplace with stone surround and wooden mantle. This room also includes: three double power points, TV aerial, and a single satellite feed. The reception gives access to reception two and has UPVC and double glazed windows to the rear aspect. This room has light brown carpets with a white painted wall. The room has one single double radiator with thermostat, two double power points, telephone point, as well as an internal window to stairway. This room gives access to reception one. 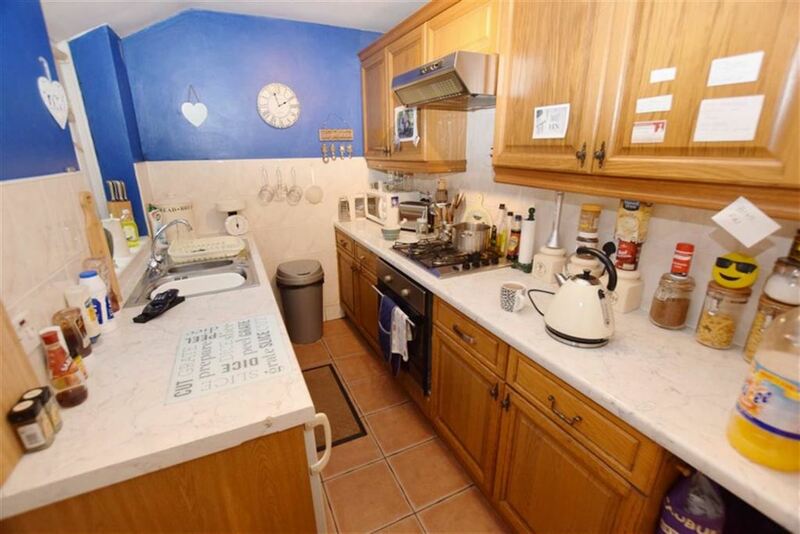 Terracotta colour tiled floor, cream coloured tiles and dark blue painted walls. The kitchen has been fitted with a good range of base and wall units in a shaker style. The kitchen includes brass style handles, marble style work surface, splash back and tiling and a stainless steel double sink unit with mixer and inset drainer. The fitted appliances are to be included in the sale. There is a cooker filter, extractor, hood, fan, light, four ring gas hob, and a single oven with grill and is fan assisted. The kitchen also includes two double power points. The kitchen is open to the lounge and the windows are UPVC and double glazed to the side aspect. Traditional stairway from the ground floor hallway and provides access to the first floor landing. 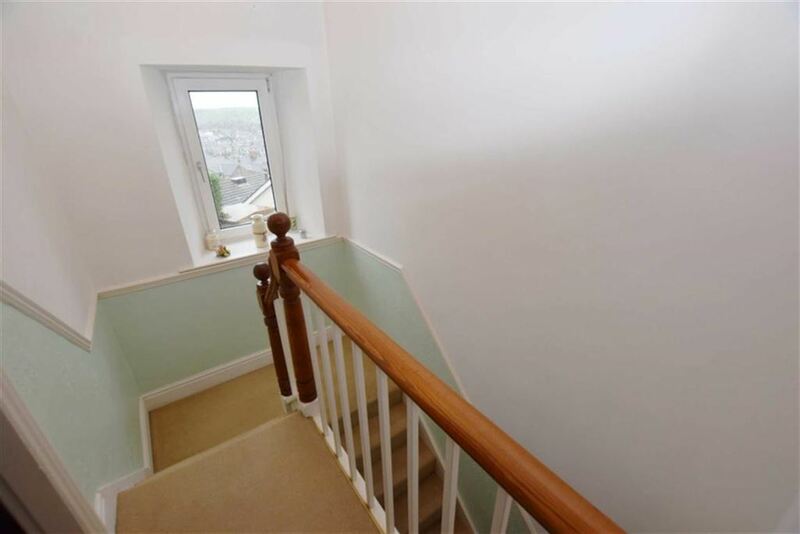 The loft is accessed from the first floor landing cupboard. The bedroom includes light brown fitted carpets with walls painted in light brown, dark grey, and green shade. This room includes cornice, one double radiator with thermostat, three double power points, and two UPVC double glazed windows to the front aspect. 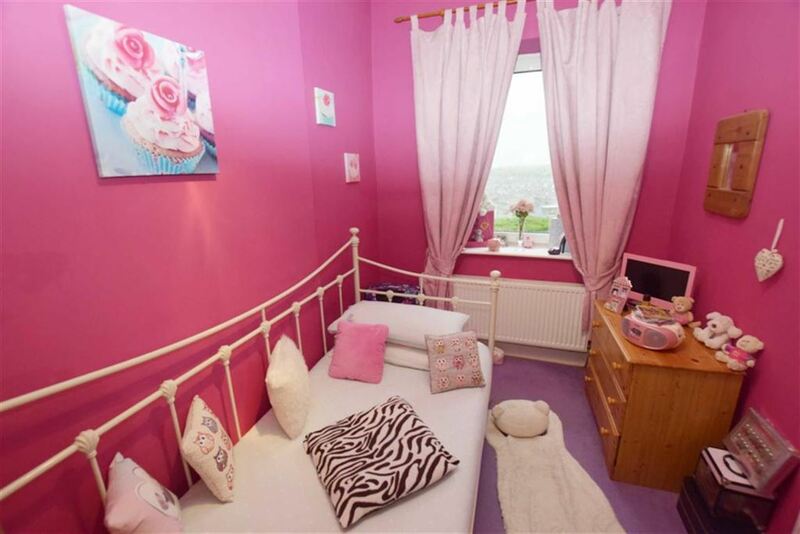 This room has a purple coloured fitted carpet with pink coloured painted walls. The room has superb elevated views over Dalton and open fields beyond. The bedroom also includes one double radiator with thermostat, two double power points and a UPVC double glazed window to the rear aspect. Forecourt surrounded by a low wall and iron fence above. There is a small lawned area with pathway to the front door and gravel below the bay window. There is a rear yard with a concrete floor leading to a wooden gate leading to the back street. The yard is surrounded by a wall and has a concrete floor. Single brick attached garage with up and over doors. The garage includes an external door, windows to the side, light, power, and a Baxi Combi boiler. There's space and plumbing for a washing machine as well as there being space and ventilation for a dryer.